What should peeling be done for? So, on the Internet, you may encounter several synonymous terms: peeling, exfoliation and deep cleansing. The essence of these concepts is identical and means the regeneration of the upper layers of the skin. The benefit of this cosmetic procedure does not depend on the time of year. Although many people still doubt whether it is worth charging the skin with diamond face resurfacing, for example, in winter. There is only one answer - yes. And if your face is subject to pigmentation, then it is in winter when you have a chance to clean it without any consequences, when the ultraviolet rays’ impact is reduced. Cleansing. Evening makeup removal is not a cleansing yet. And a poorly cleansed skin has the property of preventing the penetration of the components of moisturizers. This leads to the fact that they remain on the surface of the face and crystallize as soon as they are exposed to the sub-zero temperature medium, causing microfissures. Deep cleansing copes with dirtiness much better, preventing the appearance of focal points of infection. Nourishment. 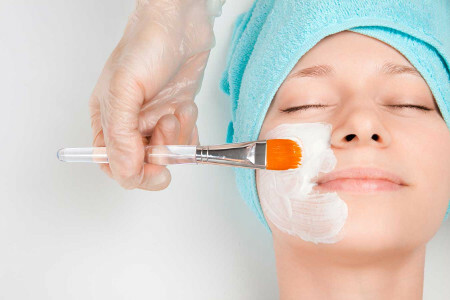 Contrary to the opinion of many people, peeling is not only aimed at cleansing the dermis. The composition of scrubbing cosmetics includes micronutrients. They make it so elastic and smooth. Protection. Intensive exfoliation restores the protective properties of the epidermis, normalizing the skin barrier. It stimulates the immune system reinforcement at the cellular level, allowing you to avoid many diseases. When is it better to do peeling or resurfacing? age of the client and the degree of manifestation of signs of skin aging. It is worth considering that the darker the girl’s skin, the higher the tendency of her epidermis to pigmentation. In this case, it is better to carry out intensive cleansing in winter, when the exposure to UV radiation is minimal. Exfoliation can be both purely cosmetic and therapeutic procedure. In the second case, it is prescribed by a dermatologist and is carried out under its control. The purpose of the procedures is to restore the skin or treat it. In winter, as a rule, doctors prescribe several attenuated microdermabrasion sessions of the skin instead of a single mechanical resurfacing. Specialists distinguish three types of peeling: deep, medium and superficial one. Deep exfoliation or resurfacing of the face is used only as part of anti-aging care or for medical purpose. As well as the exfoliation of the medium depth of exposure, it can only be carried out by professionals in a salon. A specialist will evaluate the state of your skin and correctly select the dosage of the preparation and the intervals of the procedures. Surface cleansing can be done at home. In winter, it is better to give preference to sparing preparations intended for sensitive skin. As a rule, they contain natural trace substances that gently cleanse the pores. Cleansing of the medium depth of exposure involves not only the use of substances containing saturated acids, but also a mechanical effect. The latter should not be used in winter. Any mechanical manipulation makes the skin more susceptible by suppressing its protective functions. Full cleansing. Using a superficial peeling of the face at home, see about complete removal of cosmetics containing active acids. Otherwise, their residues may irritate the epidermis. Active nourishment. Regardless of the degree of cleansing, focus on the nourishment of your skin after the resurfacing procedure. It promotes the fastest regeneration of epidermal cells. Supporting procedures. In winter, the body of any person feels an intense lack of vitamins. The skin suffers from avitaminosis no less than hair, nails, etc. Therefore, do not neglect the regular use of moisturizing cosmetics, especially after scrubbing. Hypersensibility. In order to achieve an instant effect, many women select preparations, containing corrosive acids and use them more often than allowed. As a result, the skin becomes hypersensitive. Thinning of the dermis. Violation of the intervals of sessions depletes the dermis, but does not improve its state. Abnormality of regeneration processes. Excessive devotion to acidic products and mechanical resurfacing causes small hematomas and microfissures on the skin. Reduced cellular immunity. Insufficient skin moisture and nourishment lead to a lack of vitamins, which causes fungal infections and inflammatory processes. Pigmentation. Lack of moisture, especially in winter, can lead not only to corrosive burns, but also pigmented spots. Such consequences of exfoliation are extremely rare. But, in order to avoid them, do not carry out experiments and in case of self-peeling, strictly follow the instructions related to the selected preparation. Entrust the performance of exfoliation and resurfacing of medium and deep degree to professionals. What peelings are better to be done in winter? 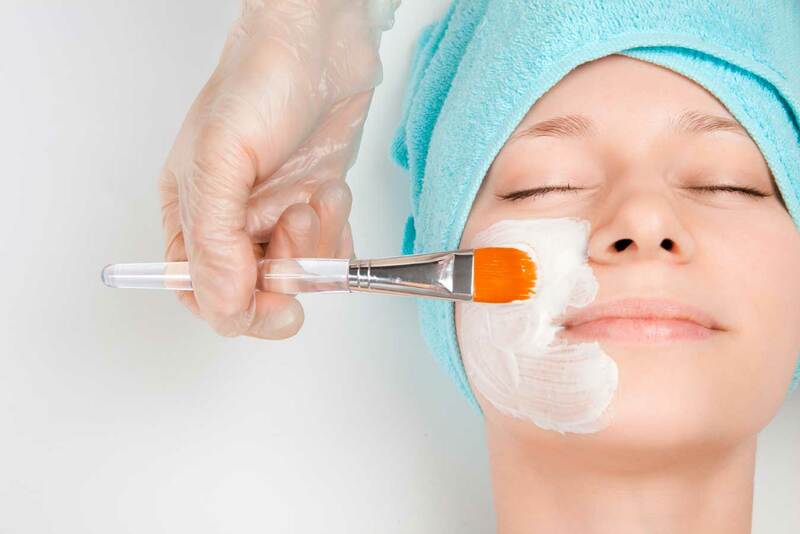 The selection of cosmetic products should be individual and based on the characteristics of the client's dermis.